A great photography website has to put your photos into main focus and allow visitors to get a glimpse into your photography style. That’s why you need to make sure that you choose the right theme for your website that will let your photos shine. When it comes to WordPress, there is no shortage of quality free themes for photographers and in this post, we’ve compiled the best of them. The best part is that they are completely free to download so you don’t have to worry about spending any money. 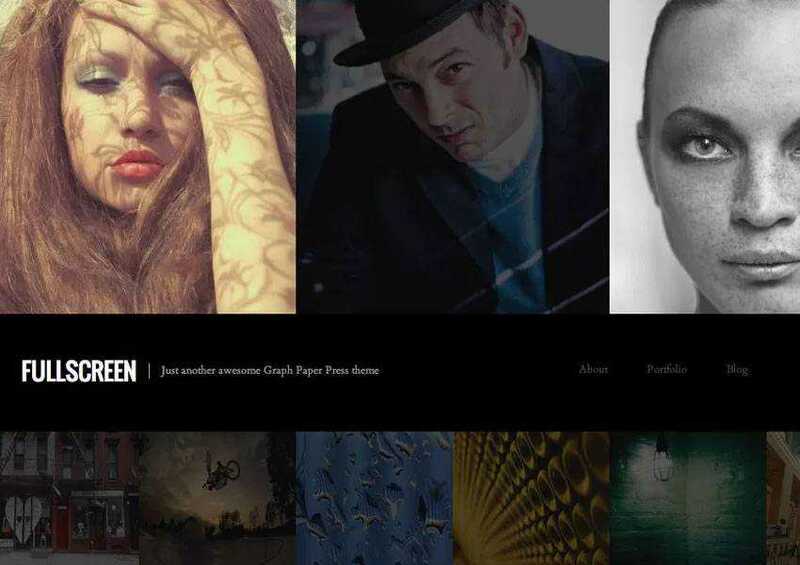 If you’re looking for free creative portfolio WordPress themes, take a look at this post. The Fullscreen theme uses a one column layout with a unique side-scrolling homepage. It allows you to create an unlimited number of galleries which you can use to showcase your portfolio. The theme is fully responsive, accessibility and translation ready, and easy to customize. If you’re looking for a more minimalistic approach, the Tography Lite is worth considering. It features a clean design with plenty of white space, subtle animations, and a fully responsive design. The Umbrella theme has a stunning full-width slider on the homepage which is perfect for creating an immersive slideshow that showcases your works of art. The theme is fully responsive and includes a powerful theme options panel. 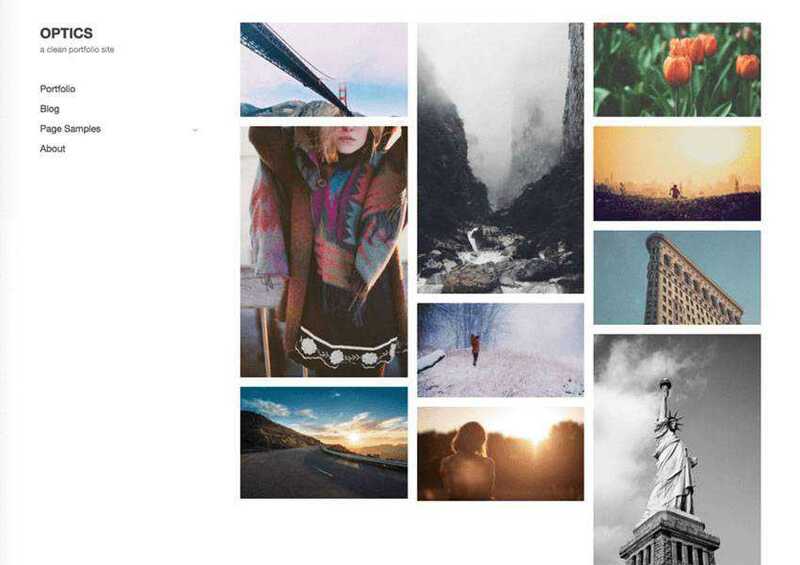 The Editor theme is a great choice if you’re running a photography blog. The theme comes with beautiful featured images, two-column layout, and a custom social links menu. 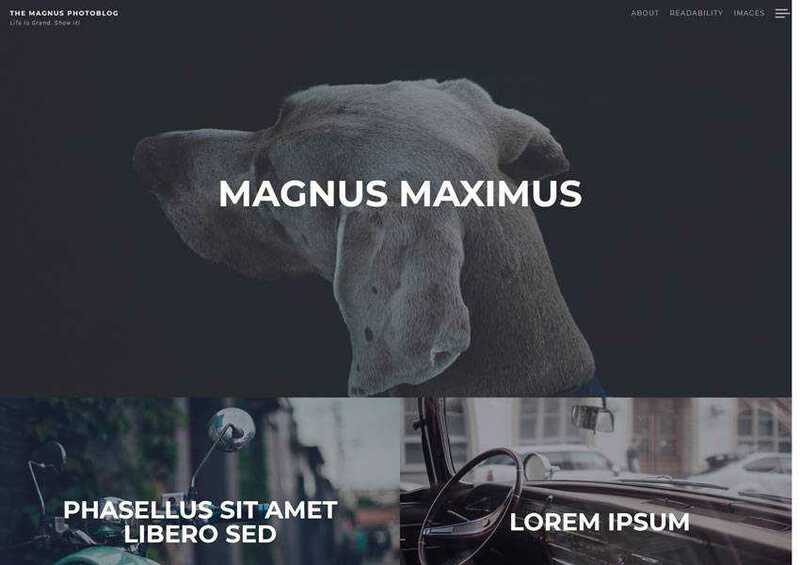 Try the Magnus theme if you want your featured images to be shown in a bold and beautiful way. 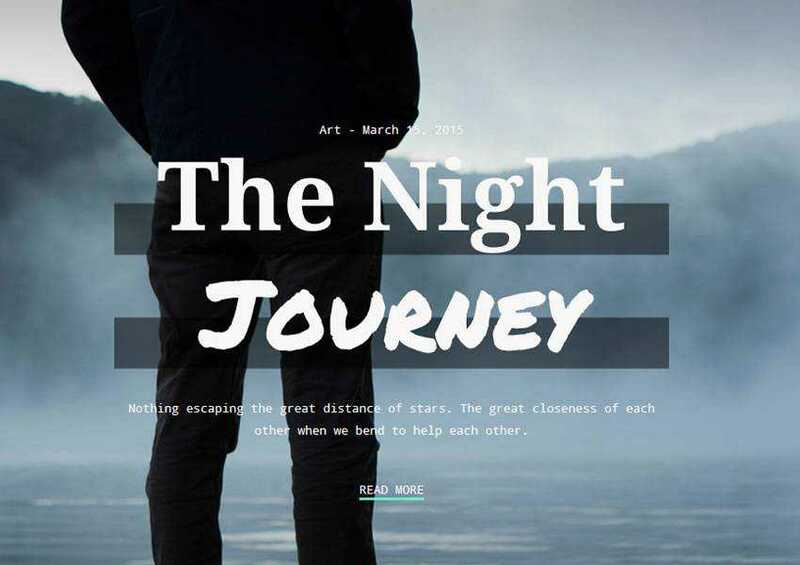 The theme is geared towards photobloggers and has a strong focus on typography. It’s fully responsive and easy to customize. 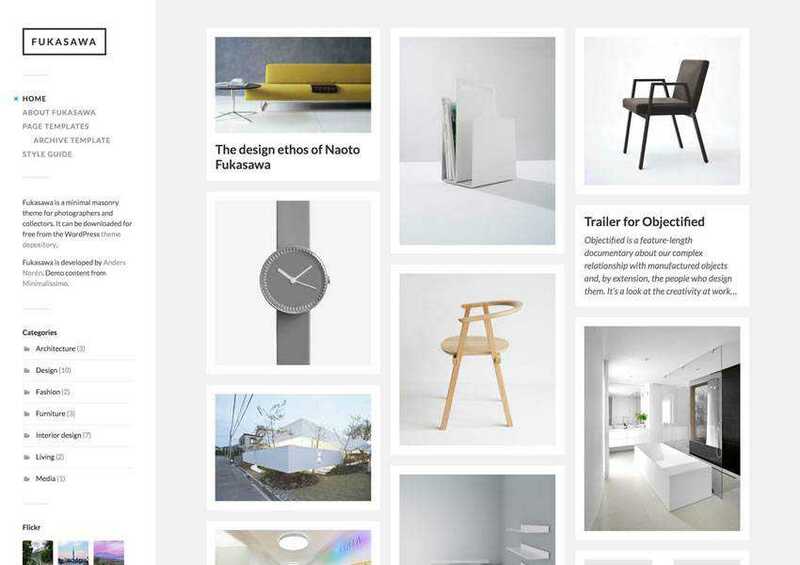 The Adler theme is a clean and elegant theme with full-screen header and full-screen featured images for every post. 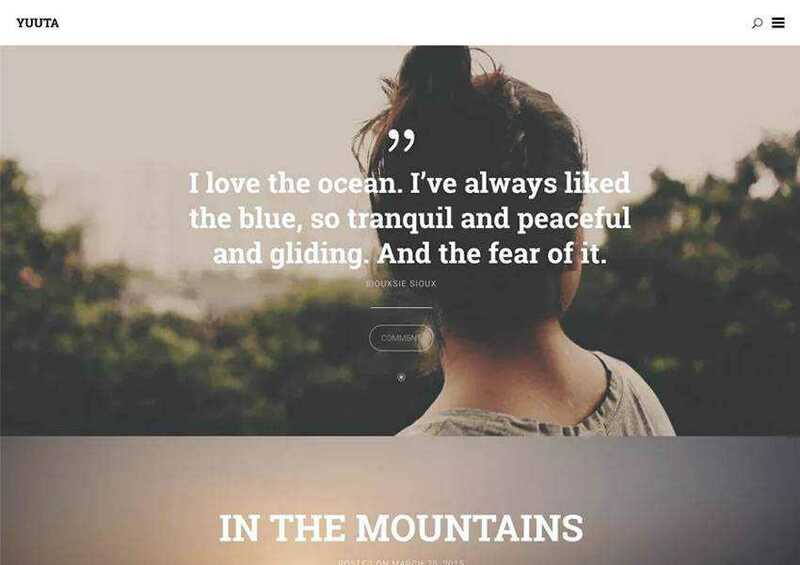 What’s unique about this theme is that it looks like a notebook, with handwriting fonts, which gives it a personal feel. 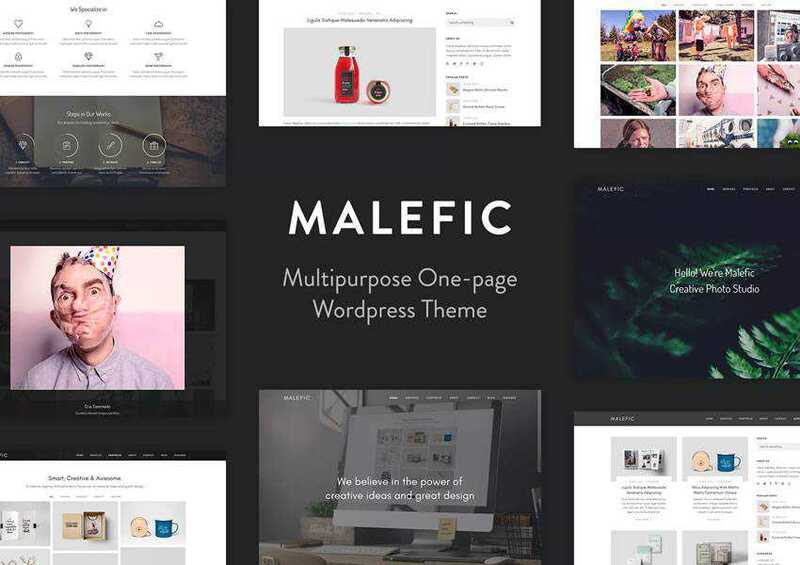 The Malefic theme is a one-page WordPress theme with a unique portfolio. 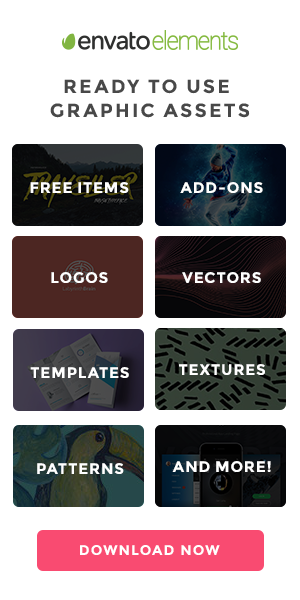 It’s suitable for artists, photographers, and any other creative professional that would like to showcase their portfolio beautifully. The Optics theme is a photography and blog theme that also comes with integrated eCommerce functionality. It’s a great choice if you want to sell photographs as prints or photography sessions. The Fukasawa theme is a great choice if you want to showcase your photography in an organized fashion. The theme has a nicely organized grid layout and is fully responsive and easy to customize. The Sider theme features horizontal scrolling so it’s definitely worth considering if you want to capture the attention of your visitors. The theme integrates with the Sell Media plugin and has a powerful theme customizer so you can customize every aspect of your website. 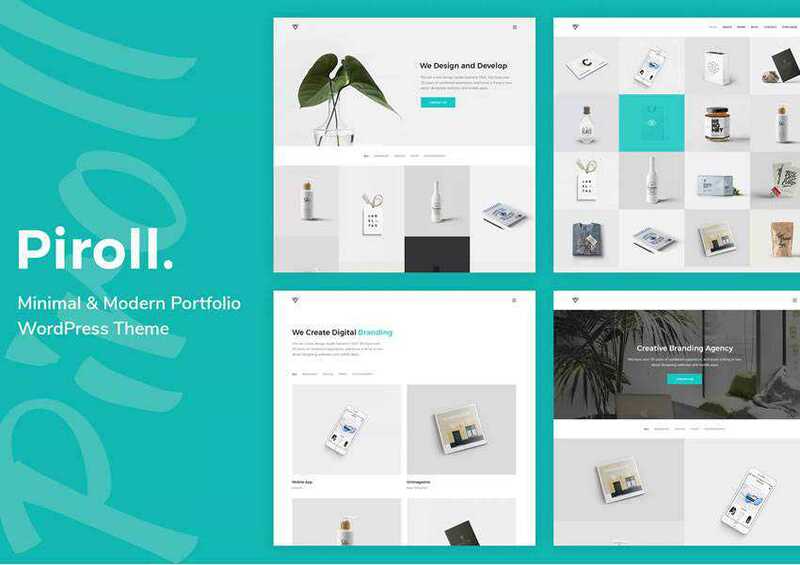 The Piroll theme is a great choice for any type of portfolio. 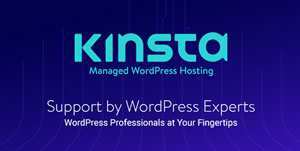 It’s a responsive and elegant theme that has plenty of customization options and a plethora of portfolio styles. It’s also fully responsive and integrates with Mailchimp. 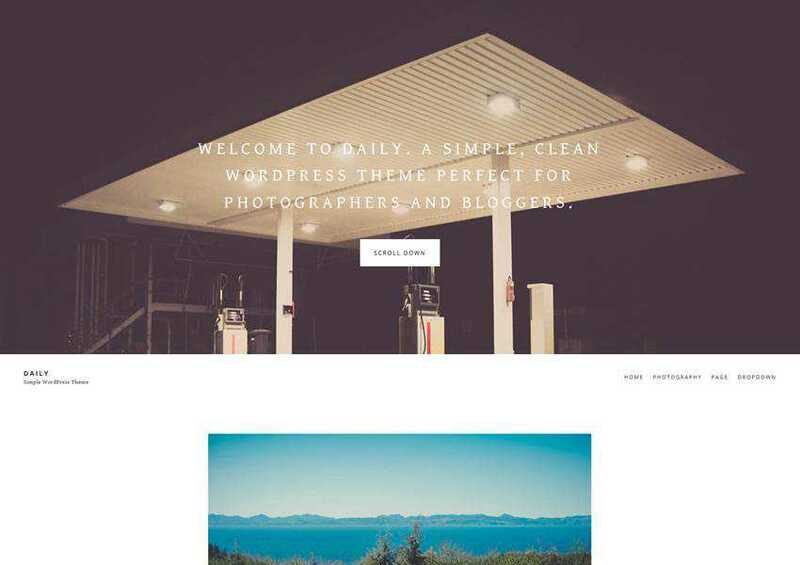 The Daily is a simple and clean theme that’s perfect for bloggers and photographers. The theme has a beautiful full-screen intro area and looks great no matter what device your visitors are using. 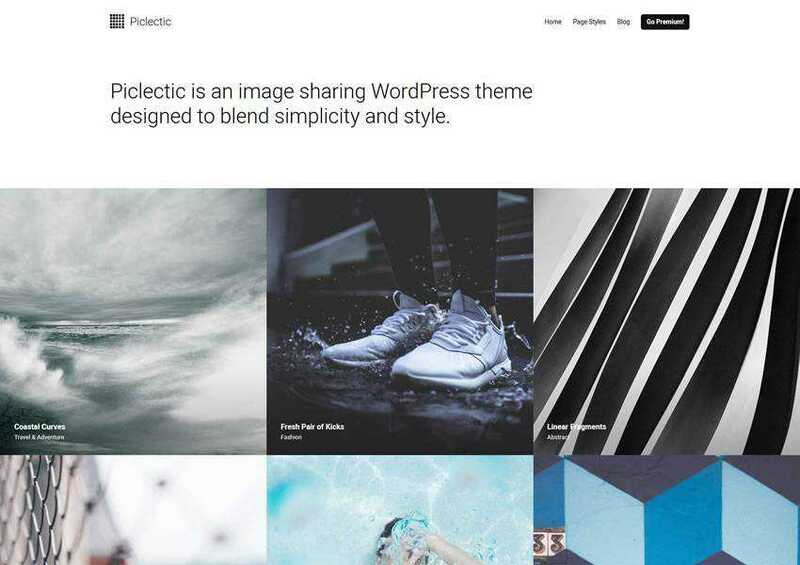 The Picletic was designed to facilitate sharing images from multiple platforms. It’s responsive and easy to customize. 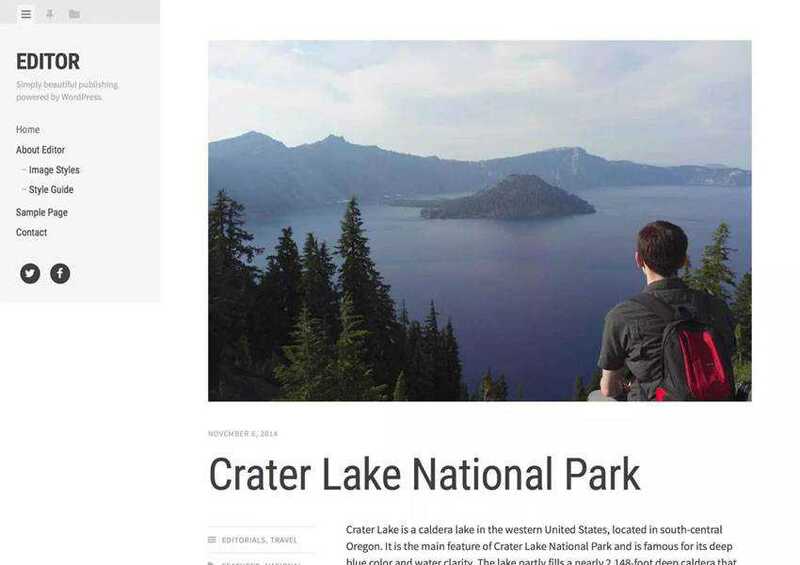 In addition to that, it was optimized for SEO and integrates fully with Google Fonts. The Yuuta theme is a great choice if you want to create a visual diary. The theme can be customized using the built-in Live Customizer and is fully responsive. 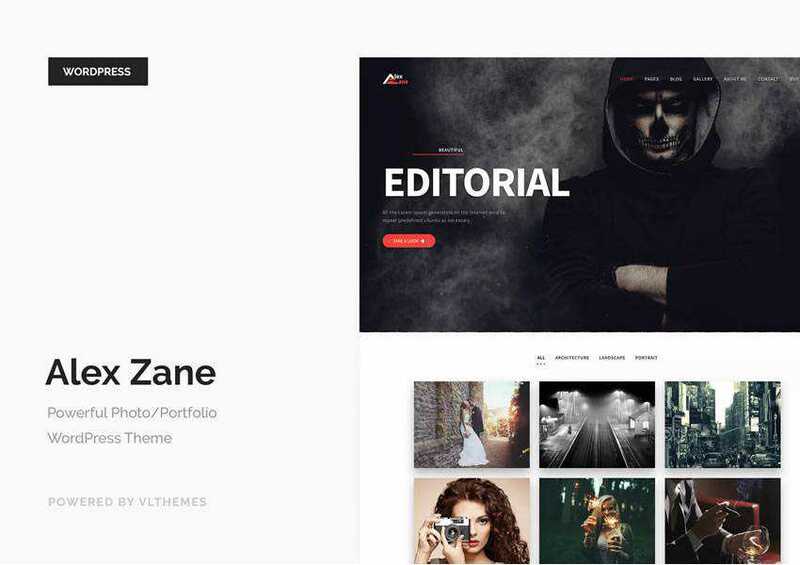 Alex Zane is a powerful, flexible, and clean photography portfolio theme for WordPress. It’s easy to use and has a responsive design. You can easily customize various page layouts thanks to the integration with Visual Composer. 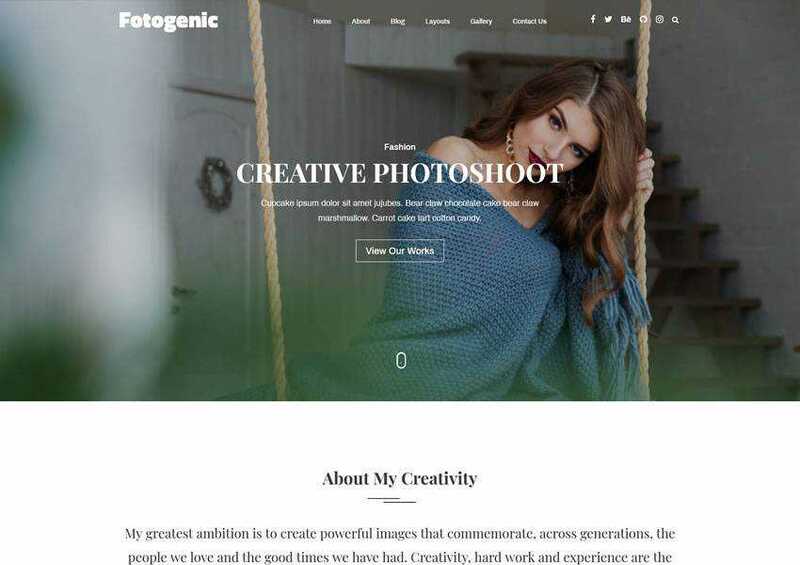 The Fotogenic theme has a unique portfolio and gallery layout which make it a perfect choice for photographers. This theme is highly customizable and responsive and it also comes with 24/7 support and detailed documentation. 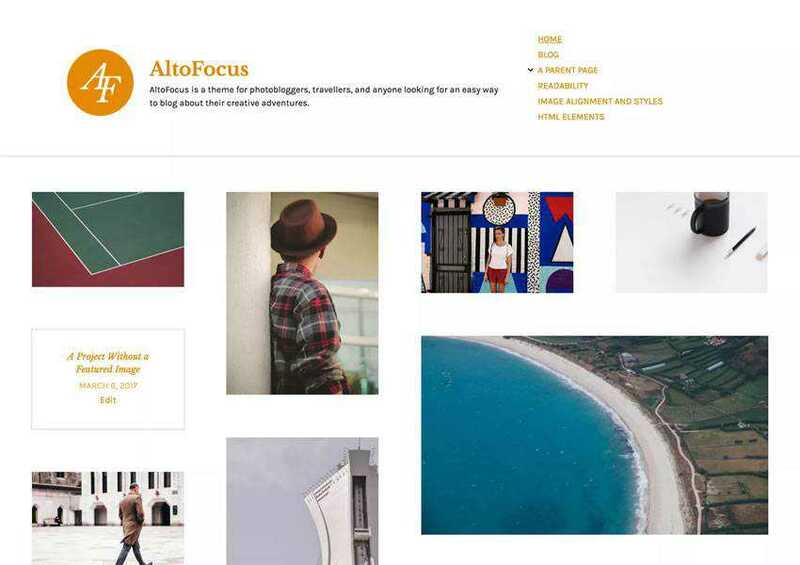 The AltoFocus theme has an elegant grid layout for the homepage which automatically adjusts to the width of the screen. It includes support for a social links menu and support for multiple post formats. 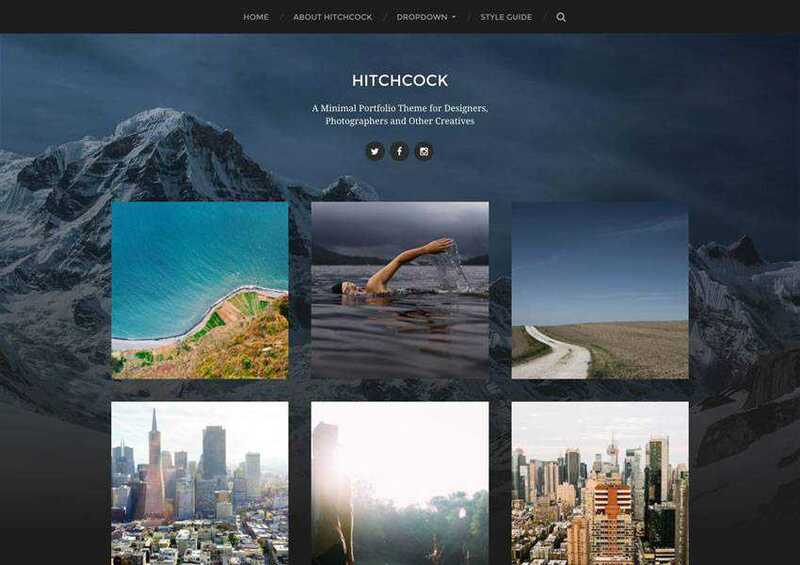 The Hitchcock theme has a grid-based homepage layout which puts your photography front and center. It also uses beautiful typography and has support for both classic and the Gutenberg editor. 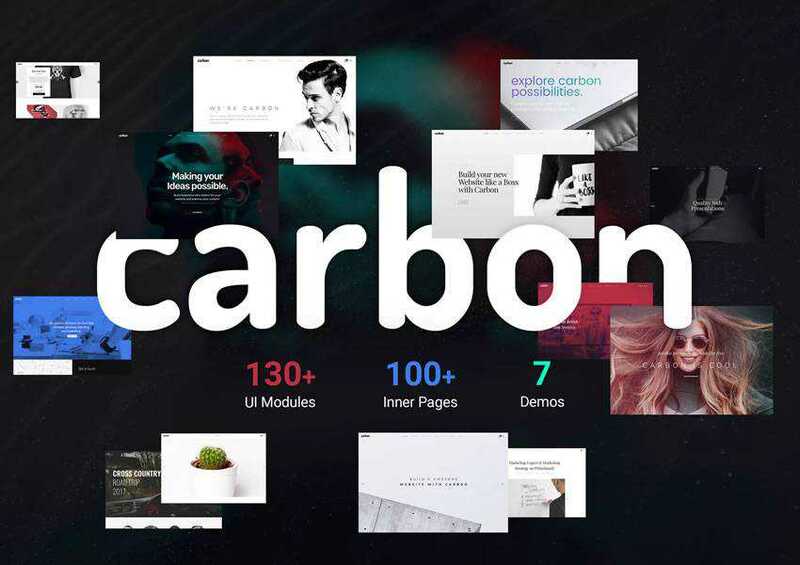 The Carbon theme features a clean and minimal design. You will find built-in premium plugins, unlimited customizability, built-in mega menu, full WooCommerce integration, robust admin panel with hundreds of options, tons of useful visual page builder elements, and so much more. 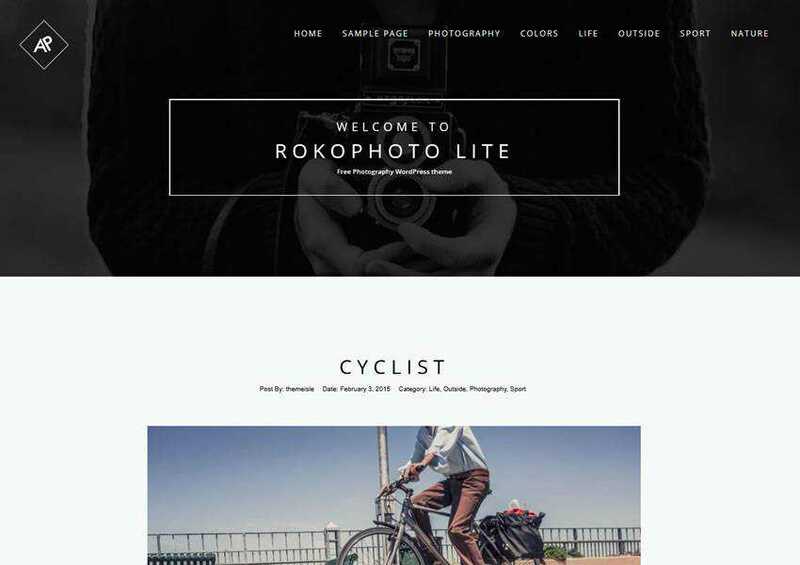 The Rokophoto theme features a stunning full-screen image header with each post you publish. It’s a responsive theme perfect for photobloggers and has tons of customization options. 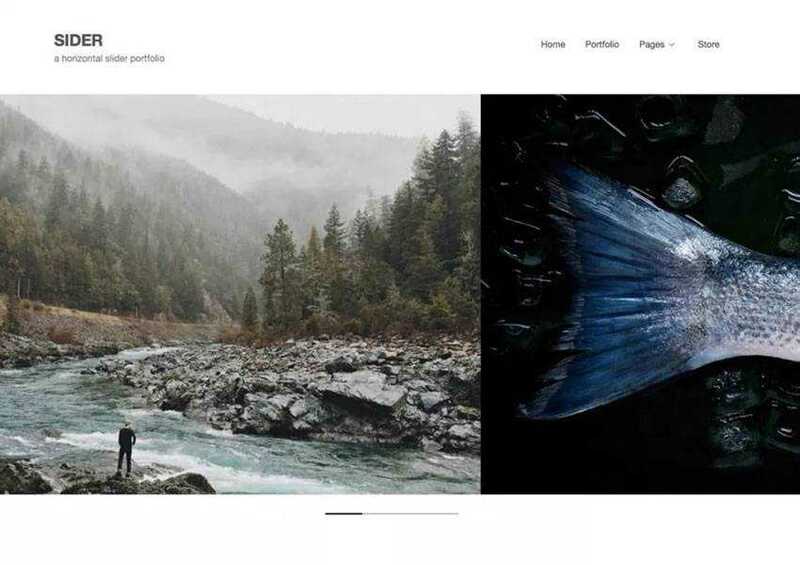 If you’re getting ready to launch your photography website or if you’re in a need of a redesign, choosing the right theme is crucial. 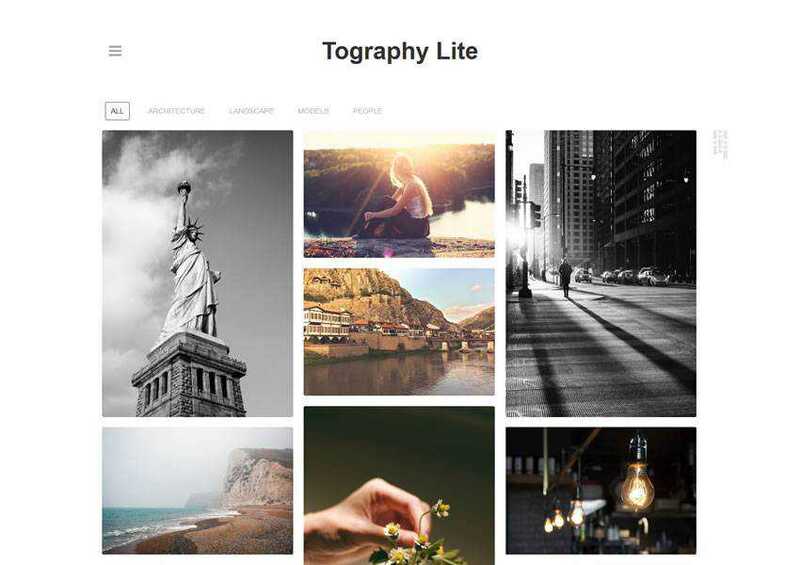 The themes on this list are packed with features geared for photographers and they offer an attractive design to boot. They are also free so be sure to give them a try today.